The Menkiti Group has completed the redevelopment of three adjacent buildings that comprise a city block of Mount Rainier, Maryland. Located in the Gateway Arts District, The Singer Flats are comprised of 11 studio, one, and two-bedroom apartments restored from the original 1936 building structure that was a former Singer Sewing Machine repair facility. The units will have modern features, including granite countertops and stainless steel appliances. 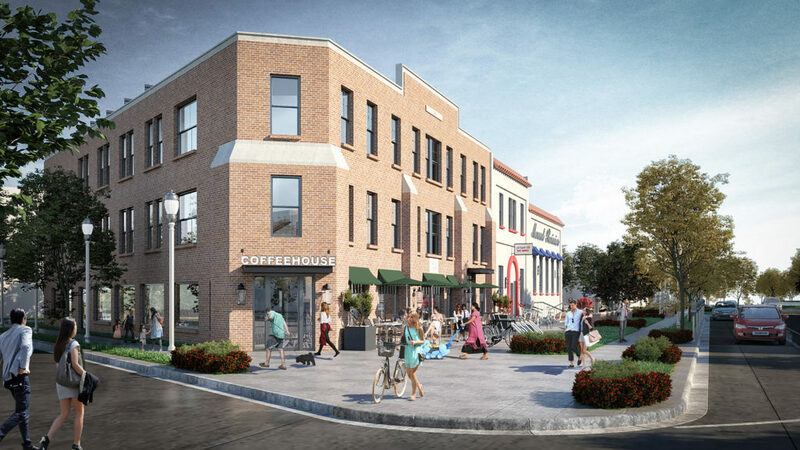 Upon completion, the entire LEED designed project will consist of nearly 20,000 SF of mixed-use space including ground floor retail just steps away from residences, with public transportation, numerous other neighborhood-serving retail and amenities nearby.